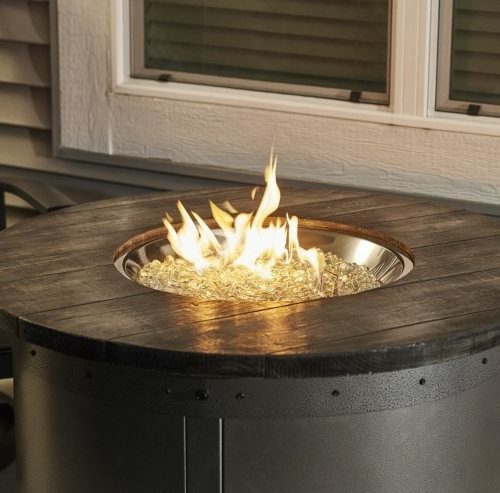 The Edison Gas Fire Pit Table combines industrial design with a unique, modern look. The powder-coated steel base accentuates the aged finish of the Weathered Grey Barnwood Supercast™ top to create a beautiful statement in your outdoor room. 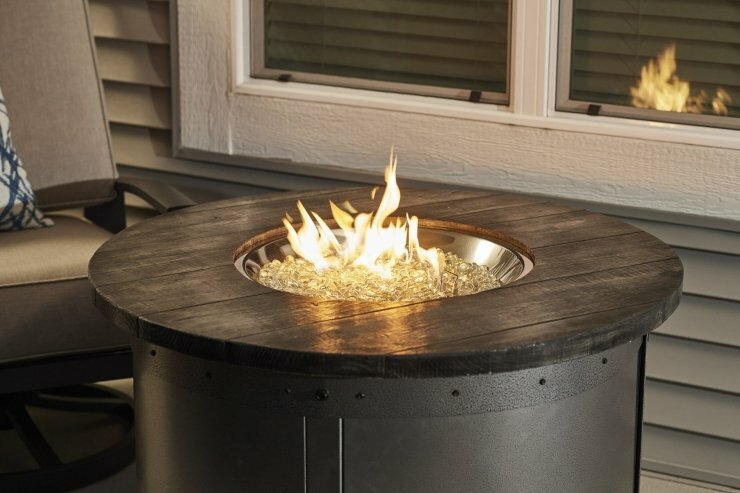 Take in the warm, mesmerizing feel of the glowing fire as you relax or entertain guests. The Crystal Fire™ Burner is UL Listed for safety.